April 10th 2019 “National Exploration Company “Qazgeology” JSC and Astra Mining Ltd signed Cooperation Agreement. Astra Mining Ltd, one of the first companies to be registered at the Astana International Finance Centre, is a Kazakh – British Exploration Mining company based in Nur-Sultan and London. Qazgeology and Astra Mining are launching a Joint Venture which will explore a series of partially studied reserves over the next 3-5 years. 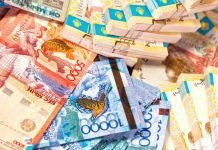 As part of their ongoing commitment to Kazakhstan all the Joint Venture entities are registered at the AIFC and subject to the Kazakh Tax Code. Previous articleСколько месторождений находится на балансе государства?